The revolution in Egypt brought down a dictator and spurred hopes for democracy, while Libya’s uprising brought on a civil war in which the West is now intervening to protect civilians. Sudan borders both of these countries, and in some sense it also borders both of these political scenarios. Civilians there face grave dangers that have only grown with the convulsions seizing the region. Fortunately, the January referendum in which South Sudan chose to separate from the north was largely peaceful. But fighting in the border region of Abyei has recently forced thousands to flee, and there could be massive bloodshed when South Sudan formally declares its independence July 9. With urgent diplomatic action, Germany can help to ensure that such violence does not break out – and that the international community will not have to face the prospect of a second intervention in the region. Germany must do all it can to secure the progress that has been achieved in South Sudan and to finally find a solution to the simmering Darfur conflict. Doing this will require short-, medium- and long-term policy tools. In this Policy Brief, Genocide Alert issues short-term recommendations – steps that Germany should take immediately. 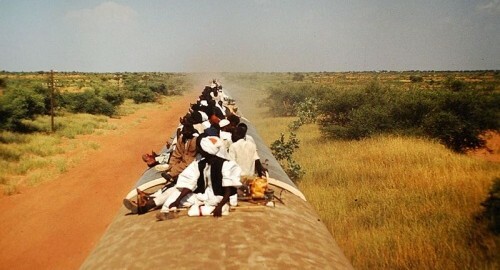 There are less than four months left until the next turning point in Sudan. Humanitarian crises are resolved most effectively and cheaply if they are prevented from arising in the first place. Develop a detailed Sudan policy that maps out crisis scenarios and coordinates action across the political, economic, development-assistance and military realms. The German Government announced a new “Sudan concept” in October, but this is no more than a four-page document in which diplomacy for the post-referendum phase is treated in only half a page. The plan must be deepened and the unclassified portions publicized. 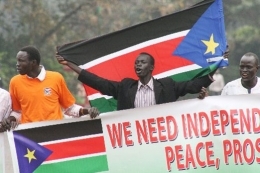 Pressure Khartoum and Juba (South Sudan) to settle the many unresolved questions of the independence process. It is particularly important to clear the uncertainty over the future of oil revenues. Germany should observe the negotiations on oil, debts, border determination, citizenship and border control, etc. at the highest levels (see next point). Chancellor Merkel should be prepared to intervene personally in the discussions if necessary, acting in cooperation with the African Union, U.S. and other observers. 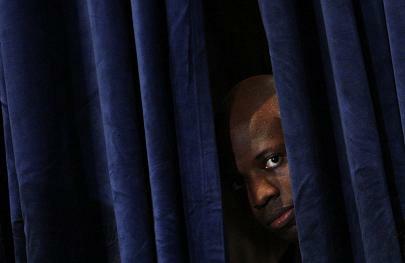 Name a high-ranking special envoy for Sudan. This person would coordinate diplomatic efforts in New York, Khartoum, Brussels and elsewhere around the world; have direct access to Chancellor Merkel or Foreign Minister Westerwelle; and lead the German observation of North-South negotiations. Send the right signals on Darfur. Germany should also observe the stalled Darfur peace talks at the highest levels. Germany should publicly commit itself to the international obligation to ensure that the more than 2 million refugees from the region can return home safely to rebuild their lives. And Germany should engage in diplomacy to ensure that Khartoum does not see international incentives for peaceful behavior in South Sudan as license to foment war in Darfur. Prove willing to deploy diplomatic and economic pressure. Doing so will first require a build-up of political will within the German policy community. As the January GA Policy Brief explained, Germany has several points of leverage vis-a-vis Khartoum. They include the potential downgrading of diplomatic relations, German objection to international debt relief for Khartoum, and the threat of sanctions against key regime members, similar to those the E.U. recently imposed on Ivory Coast’s Laurent Gbagbo. Serious diplomacy also means that Germany will lead in the E.U. but will not allow its Sudan policy to fall victim to consensus politics. At the U.N. Security Council, Germany’s charge is to be a strong voice for the people of Sudan and not to shy away from disagreements with China and Russia. Finally, the importance of high-level attention should not be underestimated. When Chancellor Merkel and Foreign Minister Westerwelle express their concern about Sudan, they send an important signal to German media, to German diplomats, and not least to the regime in Khartoum. Continue to provide humanitarian aid, development assistance and support for the buildup of institutions in South Sudan. To prevent a failed state and the eruption of conflict among groups in South Sudan, the South Sudanese people must see improvements in their living conditions. Road construction, improved access to water and health care, and employment programs for youth can all be important peace dividends. Moreover, Germany should support the construction of state institutions and police forces. As it has largely done in the past, Germany should ensure that its aid is sensitive to the dynamics of the region’s complex conflicts. It is time to win the peace in Sudan. Germany should not be missing from this effort. For more information on Sudan, also see the January Genocide Alert Policy Brief on the Referendum in Sudan, as well as our article on the dangers facing the Sudan after the referendum (in German). A referendum on January 9 will see the people of South Sudan voting overwhelmingly to secede from the rest of the country. There is a grave danger that this decision could lead to violence if the regime led by Sudanese President Omar al-Bashir, wanted by the International Criminal Court for war crimes, refuses to accept the result. The border region of Abyei in particular could be a flashpoint for the renewal of a war with potentially hundreds of thousands of civilian victims. Against this backgroup, Germany should take urgent steps in cooperation with the European Union, United States and United Nations to prevent mass atrocities against the civilian population. 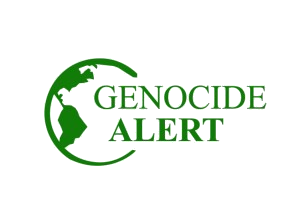 This Genocide Alert Policy Brief describes Germany’s options for ameliorating the situation in Sudan. In partnership with the EU, US and UN, Berlin can use targeted humanitarian measures, diplomatic pressure and economic incentives to help prevent a potential renewal of the North-South war in Sudan from escalating to a humanitarian catastrophe. Germany and its partners should also consider military options for the protection of civilians to be prepared for the case that mass atrocities resume in spite of all efforts to prevent them. ensure that a plea by UN Secretary-General Ban Ki-Moon for $63 million to fund humanitarian preparations is swiftly met. If necessary, Germany should provide the entire sum itself and only later seek reimbursement from its allies. offer financial and logistical assistance to NGOs operating in southern Sudan as they pre-position critical supplies and equipment. express concern about the situation in Sudan and warn all sides to the conflict from resorting to violence, both publicly and through diplomatic channels. prepare, in consultation with EU partners, concrete diplomatic consequences for human rights violations on the part of Khartoum, and communicate these to the regime. make clear to Khartoum that provocations following the referendum will rule out progress on international debt relief for the regime. urge EU partners to prepare sanctions that would target responsible politicians and their families and associates if necessary. as a member of the Security Council, advocate urgently for the UNMIS peackeeping force in South Sudan to receive unqualified support to maximize its mandate for the protection of civilians. offer the UN short-term assistance in areas such as communications, intelligence, security and mobility for UNMIS. in conjunction with its partners, initiate a review of last-resort military options that could be considered if mass atrocities against the civilian population ensure. 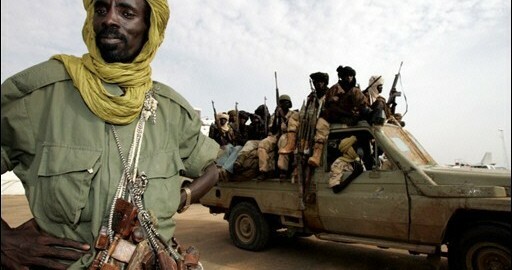 However, it is also possible that the Sudan People’s Liberation Movement, the party that controls the South, will respond with violence if the North refuses to carry out or recognize the referendum, or frustrates negotiations on the seperation. Another danger is that military units on either side may instigate violence on their own as a result of weak command-and-control. An even greater concern is that ethnic tensions could boil over at the local level without high-level instigation. Such ethnic battles in themselves have the potential to lead to a large number of civilian deaths. More dangerously, they could escalate into broader conflicts as rival armies move to support local ethnic militias or as other flashpoints erupt in response. Aid agencies active in South Sudan are preparing for a potential humanitarian emergency in the wake of the referendum. Any violence would exacerbate an already fragile humanitarian situation – hunger is widespread throughout South Sudan and 200,000 people were displaced by localized fighting in the last year alone. Khartoum routinely frustrates the delivery of humanitarian aid as a tool of war and negotiation. Germany and Europe must be prepared to respond to interference with humanitarian operations by using the range of policy tools described below. Moreover, the German Foreign Ministry should contact NGO’s operating in Sudan to inquire into their logistical and financial needs as they pre-position critical supplies and equipment. Germany should offer Bundeswehr logistical assistance if necessary. Germany should also ensure that a plea by Ban Ki-moon for $63 million to fund humanitarians preparations is swiftly met. If necessary, Germany should provide the entire sum itself and only later seek reimbursement from its allies. Diplomatic pressure and public diplomacy are effective instruments in policy toward Khartoum insomuch as the regime is hungry for international legitimacy in the wake of the ICC’s indictment of President al-Bashir for genocide and crimes against humanity. Also in the diplomatic realm, Germany should not shy away from a public dispute with China about the latter’s Sudan policy. If China moves to block effective action by the Security Council or fails to take bilateral steps to rein in Khartoum, Germany should have the courage to make a public issue of the matter, and not be cowed by Chinese economic power. express concern about the situation in Sudan and warn all sides against launching attacks against civilians through public statements by both the Government and opposition. urgently communicate the same message to the Sudanese ambassador in Berlin and via all other diplomatic channels to Khartoum. in consultation with EU partners, prepare concrete diplomatic consequences for instransigence on the part of Khartoum and communicate these to the regime. The steps could range from calling in the Sudanese ambassador for a rebuke to withdrawing the German ambassador to Khartoum. use Berlin’s strong relationship with China and with parts of the Arab world to urge these countries to adopt productive policies as regards Sudan. As Sudan’s second-largest trading partner (by imports, after China), the EU in theory has significant economic leverage over Khartoum. But Europe has been all too reluctant to flex those mucles. Time and again, European leaders have refused to seriously consider imposing meaningful sanctions even as they reiterated – more than 50 times – their concern over the mass violence against civilians in Darfur. Now, Germany and the E.U. have an opportunity to finally put their economic leverage over Khartoum to work by making credible threats to impose targeted sanctions against key figures and to withhold debt relief from the regime. A credible threat of targeted sanctions against key regime figures is achievable in the short term, as the recent imposition of such measures against the holdout for the president of the Ivory Coast, Laurent Gbagbo, demonstrates. These can also be effective tools of pressure. make clear to Khartoum that provocations following the referendum will rule out progress on international debt relief for the regime. Germany must take the lead on this issue, urging a joint effort among EU members but acting bilaterally if necessary. Germany could indicate that it will use its position in the IFIs and the Paris Club to block any relief for Khartoum if circumstances warrant. urge EU partners to prepare sanctions that would target responsible politicians and their families and associates. These measures should target members of the regime in Khartoum and if necessary also leading politicians in South Sudan, and should include steps such as freezing assets and imposing visa bans. The EU has acted similarly in the case of Ivory Coast’s Gbagbo and should be willing to apply this policy to Sudan. use its position as a member of the UN Security Council to ensure that these positive changes receive the necessary support and reinforcement from the political and military leadership in New York and among the troop-contributing countries. Ideally, this view should be reinforced by a pre-referendum statement from the Security Council. inquire whether it can make any immediate contributions in the way of equipment or maintenance that could faciliate UNMIS communications, intelligence, security or mobility, in particular aerial mobility. Germany should also press surrounding countries and NATO allies to share any intelligence they gather that might suggest the organization of violence. warn all parties to the conflict publicly that violations of human rights and international humanitarian law will be condemned. UNMIS will play a vital role as monitor in this regard. The United Nations determined unanimously in 2005 that every state has the responsibility to protect its population from mass atrocities. Should a state prove unwilling or unable to meet this resonsibility, the international community has the obligation to stop such violence. In the context of the referendum a situation could arise in which the use of a limited military intervention is necessary as a last resort to protect endangered civilians or put a stop to serious atrocities. In such a case, a rapid reaction will be important to prevent the deaths of hundreds of thousands of innocents. Germany should, in partnership with its partners in the EU, African Union and NATO, develop last-resort contingency plans for this scenario. Concretely, this could require the establishment of militarily protected safe zones for refugees. The EU has the requisite capacity in the form of its Battle Groups. Der Konflikt in Darfur hat bis ins Jahr 2010 schätzungsweise 400.000 Menschen das Leben gekostet und mehr als 2,7 Millionen vertrieben. Nach jahrelangen Kämpfen wurde nun am 20. Februar eine 60-tägige Waffenruhe zwischen der Regierung und Vertretern des Justice and Equality Movement (JEM) unterzeichnet. Dies ist seit langem ein Zeichen der Hoffnung für Frieden in einer von Krieg und Zerstörung gebeutelten Region. Doch wurden bei kürzlichen Kämpfen wurden Einheiten der JEM verschont, andere Rebellengruppen aber nach wie vor ins Visier genommen. Und inwiefern finden die an und für sich begrüßenswerten Friedensbemühungen in einem Klima eines nach wie vor nicht ausgeschlossenen neuen Nord-Süd-Bürgerkriegs statt? Versucht der sudanesische Präsident, Omar al-Bashir, die Front in Darfur zu befrieden um den Rücken für eine erneute Auseinandersetzung mit dem sezessionswilligen Süd-Sudan frei zu haben? Am 20. Februar war es soweit, das Abkommen wurde vom sudanesischen Präsidenten Omar al-Bashir und JEM Führer Khalil Ibrahim in N’Djamena, der Hauptstadt des benachbarten Tschad, unterzeichnet. Diese Übereinkunft ist bemerkenswert, da die JEM bis Mai 2009 eine der wenigen Gruppen war, die nicht bereit war, den Konflikt mit der sudanesischen Regierung zu diskutieren. Darüber hinaus ist es die Sudan Liberation Army (SLA), die sich ebenfalls weigert, mit der Regierung zu sprechen bevor es nicht ein Ende der Gewalt gibt. Der Ort der Verhandlungen ist auch von Bedeutung, wenn man bedenkt, dass der Tschad bisher JEM und andere Rebellengruppen unterstützt hat und vielen vertriebenen Darfurern ein Zufluchtsort geworden ist. Ohne die Unterstützung des Tschads, welcher den Rebellen bis heute einen Rückzugsraum geboten hat, wären die Aufständischen gar nicht in der Lage gewesen, der Regierung Sudans Paroli zu bieten. Trotz der kürzlich ausgehandelten begrüßenswerten Waffenruhe besteht jedoch die Gefahr, dass es sich um ein Manöver Bashirs handeln könnte, um sich die JEM zeitweilig vom Leibe zu halten. So finden parallel zu den Friedensverhandlungen mit zehn anderen Rebellengruppen in Doha Fliegerangriffe auf Siedlungen in Darfur statt. Rebellen in der Gegend berichten, dass innerhalb von zwei Tagen 50 Zivilisten Opfer von Kämpfen in der strategisch wichtigen Region in zentralen Darfur geworden seien. Die einzige Hilfsorganisation vor Ort ist gezwungen, ihre Tätigkeit einzustellen. Nach Angaben der Organisation Médecins du Monde, wurden 100.000 Menschen durch die Kämpfe vertrieben. Man kann die neuesten Angriffe als einen Versuch der Regierung interpretieren, die verbleibenden Rebellengruppen durch Gewalt zu einem Einlenken zu zwingen. In der Tat drängen die Vermittler der Afrikanischen Union und der Vereinten Nationen, die Gastgeber aus Katar und der US-Sondergesandte Scott Gration die Rebellengruppen, mit der Regierung Sudans parallel zu JEM zu verhandeln und am Ende beide Vereinbarungen miteinander zu verbinden. Khartums plötzlicher Eifer, die Rebellengruppen zu einer Waffenruhe, wenn nicht sogar zu einem Frieden zu drängen, lässt sich mit Hinblick auf die mögliche Unabhängigkeit des Süd-Sudans und dem Unabhängigkeitsreferendum im Januar 2011 erklären. Falls sich der erdölreiche Süden nach dem Referendum zur Sezession entschließen sollte, würde dies aller Wahrscheinlichkeit nach erneut Krieg bedeuten. Aus der Perspektive Khartums wäre ein Frieden in Darfur vor allem deshalb wichtig, um nicht einen Zwei-Fronten-Krieg gegen den Süden und Westen des Landes führen zu müssen. Es ist somit nicht unwahrscheinlich, dass die Furcht vor einer Abspaltung des Südens das Handeln der Regierung in Khartum ditkiert. Außerdem könnte Präsident Bashir im Sinn zu haben, die bevorstehenden nationalen Wahlen zu nutzen, um sich und die Herrschaft seiner Partei trotz Haftbefehl des Internationalen Strafgerichtshofs zu legitimieren. „erfolgreiche“ Wahlen könnten als Argument missbraucht werden, Bashir nicht für seine Kriegsverbrechen und schweren Verbrechen gegen die Menschlichkeit verantwortlich zu machen. Die internationale Gemeinschaft, die EU und Deutschland sind nun gefragt, die Waffenruhe zwischen Khartum und JEM zu unterstützen, weitere Rebellengruppen zur Teilnahme zu bewegen und letztlich einen umfassenden Friedensprozess in Darfur anzustoßen. Gleichzeitig sollte sich jedoch verstärkt darum bemüht werden, das für seine Skrupellosigkeit berüchtigte Regime in Khartum von jeglichen militärischen Aktionen gegen den Süd-Sudan im Falle einer Sezession abzuhalten. Noch besteht die Möglichkeit einer internationalen konzertierten Initiative in diese Richtung, in der vor allem die Volksrepublik China auf Grund ihrer engen wirtschaftlichen Kontakte mit Khartum in die Pflicht genommen werden sollte. Noch ist ein Krieg zwischen Norden und Süden abwendbar, der zweifellos die gesamte Region destabilisieren würde. Auf den ersten Blick könnte man in den für April angesetzten Wahlen im gesamten Sudan – die ersten seit 1986 – und in dem für Anfang 2011 angekündigten Referendum über die Unabhängigkeit des Südsudans ein Hoffnungsschimmer für das von Gewalt geschundene Land vermuten. Doch sowohl die Wahlen, als auch das Referendum birgt die Gefahr eines neuen Aufflammens der Gewalt. Es wäre ein tödlicher Fehler der Internationalen Gemeinschaft, die damit verbundenen Risiken für die sudanesische Bevölkerung zu ignorieren. Schon jetzt gibt es zahlreiche Berichte von Gewalttaten, welche neuerdings vor allem wieder vermehrt im Süden vorkommen. So gab es 2009 im Südsudan 2500 Gewaltopfer, sogar mehr als im gleichen Zeitraum in Dafur. 360000 Menschen mussten fliehen. Neben Stammeskonflikten und dem Eindringen der Lord Resistance Army aus Uganda, lässt sich dabei auch wieder eine Zunahme der Spannungen mit dem Norden feststellen. Die Ursprünge des Konflikts zwischen dem arabisch dominierten Norden und dem christlichen schwarzafrikanischen Süden des Sudans reichen dabei weit in die Vergangenheit zurück. Der bisher letzte offene Bürgerkrieg brach Anfang der 1980er Jahre aus und konnte erst im Januar 2005 mit dem sogenannten „Comprehensive Peace Agreement“ beigelegt werden. Darin einigten sich die Parteien neben der Schaffung einer Autonomen Provinz Südsudan und der Bildung einer „Regierung der nationalen Einheit“ unter anderem auch darauf, bis spätestens Januar 2011 ein Referendum über eine staatliche Unabhängigkeit des Südsudans durchzuführen. Vor den jetzt anstehenden Abstimmungen darf man vor allem nicht vergessen, dass das Abhalten Wahlen allein noch keine Demokratie ausmacht. Dennoch steht für die Parteien im Sudan viel auf dem Spiel. So sollen ein Staatspräsident für Gesamtsudan, der Präsident für den Südsudan, die Gouverneure der 26 Bundesstaaten, sowie die Parlamente der Nationalversammlung in Khartum und in den Bundesstaaten gewählt werden. Im Hinblick auf die humanitäre Notlage und die immer noch mangelnde Sicherheit weiter Bevölkerungsteile – vor allem in Dafur und im Südsudan – sind wirklich fairen Wahlen nur begrenzt zu erwarten. Die Regierung von Präsident Omar al Bashir hat es in den vergangenen Jahren unterlassen, die notwendigen demokratischen Reformen durchzuführen, welche im „Comprehensive Peace Agreement“ von 2005 verlangt werden. Ohne verstärkte Aufmerksamkeit und Druck durch die Internationale Gemeinschaft wird es weder faire noch freie Wahlen geben. Auch wenn die Wahlen im April ohne größere Verwerfungen und Gewaltausbrüche über die Bühne gehen sollten, droht Anfang 2011 mit dem Referendum, welches der südsudanesischen Bevölkerung die Aussicht auf einen eigenen Staat einräumt, ein erneuter offener Bürgerkrieg. Es ist zu erwarten, dass die Spannungen zwischen dem Norden und dem Süden zunehmen, je näher das Referendum rückt. Schon jetzt wirft die südsudanesische Regierung dem Norden Waffenlieferung an einzelne Gruppen im Süden vor. Aber auch der Süden rüstet auf. Es ist davon auszugehen, dass sich eine Mehrheit der Menschen im Südsudan für eine Unabhängigkeit entscheiden werden. Schwer vorstellbar ist jedoch, dass – trotz anderslautender Bekundungen – die Zentralregierung in Khartum die Loslösung des Südens und damit den Verlust von ölreichen Provinzen einfach hinnehmen wird. Dies wird noch dadurch verstärkt, dass wichtige Fragen wie Grenzziehungen und die Verteilung der Öleinnahmen nach wie vor ungeklärt geblieben sind. Die Zeit drängt und es sind entschlossene Schritte notwendig, um einem erneuten Ausbruch eines Bürgerkriegs vorzubeugen. So müssen die in einem Bericht des UN-Generalsekretärs Ban Ki-moon vom 19. Januar 2010 geforderte Verstärkung der UNMIS und die notwendigen versprochenen Mittel für das UNDP sofort bereitgestellt werden. Sowohl die südsudanesische Regierung als auch die Internationale Gemeinschaft haben die Pflicht, umgehend ihre Anstrengungen für die Herstellung von kurz und langfristiger Sicherheit des Bevölkerung zu erhöhen. Die internationale Staatengemeinschaft hat dabei die Aufgabe, die Konfliktparteien zu Verhandlungen und zur friedlichen Beilegung von Konflikten zu drängen. In den verbleibenden Monaten vor dem Referendum muss mit aller Kraft an der Lösung der ungeklärten Fragen gearbeitet werden. Die Notwendigkeit und Möglichkeiten einer Verstärkung der UN-Truppe zur Überwachung der Nord-Süd-Grenze im Vorfeld des Referendums sollten rechtzeitig geprüft und gegebenenfalls auch realisiert werden. Als einer der Garantie-Staaten des Friedensvertrags hat die Bundesrepublik Deutschland die Verantwortung, dem Sudan mehr Aufmerksamkeit zu widmen.